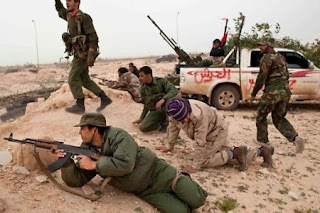 Al Qaeda Fighting with Rebels in Libya? 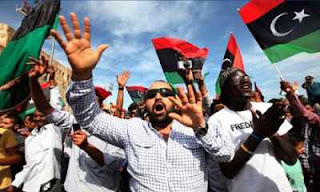 As the turmoil in Libya taking a more dangerous shape, today the Libyan government is killing its own people by directing their military against them. Gaddaffi who has been ruling in Libya for years is using his last but very unwise option to control the anger of public. 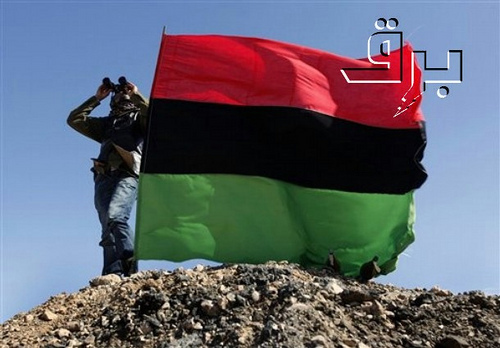 But the tragic turn in the news is that Libyan authorities says while capturing and killing some rebels they have found some of them were Al Qaeda operatives, both domestic and international fighters, newly recruited and experienced. Everyone though expect a peaceful talks between government and the people would be a better choice, some experts feel it is good that Al Qaeda is helping the rebels to fight against the government. We believe that way even if they successfully end the fight but after results might be dangerous. If Al Qaeda and rebels win the war then Libya will become another Pakistan and Afghanistan. Meanwhile western countries and European Council has declared that they are not interested in any military intervention, but there is a possiblity that to end a never ending war in Afghanistan and Pakistan against Taliban and Al Qaeda western powers might support Al Qaeda in Libya and leave from Afghanistan forming a secret treaty. Meanwhile Arab States have backed no flying zone in Libya in a fear that Libyan skies are populated with military aircrafts which are continuously bombing their land to wipe out the rebels.